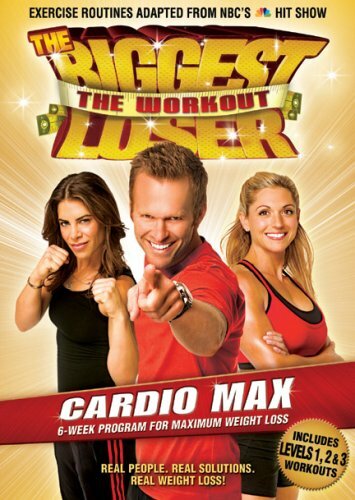 Posted on Thursday, January 12, 2012, by Eric - TV Geek Army "Revered Leader"
Quick Take: The Biggest Loser 13, "Week 2"
Review: The Biggest Loser 13, "Week 2"
(S1302) This week's gimmick proved decisive in terms of which team won the week's weigh in and, in part, who got sent home. The gimmick took the form of a poker-style wager that representatives from both teams were asked to make, with the winning team slated to be awarded a five-pound advantage at the week's weigh in. Kim and Kimmy opened with a gambit in which they predicted that the red team would love 3.8% body fat, or 94 collective pounds, for the week. Black team's Mike quickly decided that that was a terrible decision and "folded," in essence locking the red team into that number. Therefore, Team Red faced the prospect of handing over the five pound advantage if they could not lose more than 94 pounds during the week. The theme of "94 pounds" persisted throughout the episode. Bob's black team worked out anxiously, knowing how hard Team Red would need to work to pull off the feat – a particular challenge as the contestants are relatively slimmer than many past seasons to be begin with, and second week weight drops are notoriously small after bodies shed water weight and hit a plateau after big first week numbers. And Dolvett pulled out all the stops to get his squad moving – spray painting "94 pounds" on the training room wall, writing it on tape and taping up the team, and so on – even while knowing all along that it may well be a fool's errand. Which, lo and behold, it turned out to be. After a pretty ho hum challenge involving some sort of anchor wheel and puzzle (with a Biggest Loser meal plan in the offing for the winners – hello cross-promotion!) and last chance workout, Bob's Team Black won out… with the help of that five pound advantage. It's a little strange that someone got sent home this early based in part because of an ill informed bet about potential weight loss, as opposed to straight up hard work and persistence, but as my family used to say back in the day: it is what it is. While it seemed to me that Kim and/or Kimmy would be the easy targets to get sent home for both making a lousy bet and not losing a lot of weight to back it up (three and four pounds, respectively, I believe), Mike instead gets cut for his occasional slacking and poor relationship with some of his teammates. It's a shame in that he has one of the more interesting personalities and back stories of the cast, but more importantly he seemed like a dude who genuinely needed more time in the house to get his body and life back into shape. Finally, I mentioned last week that I hoped that reviewing The Biggest Loser this season would motivate me to get off the couch a little bit. I started the week really well – famous last words for many with new year's resolutions, of course – and then travelled to Portland over the weekend, where let's just say things fell off a little bit. Still, I managed to lose 5.5 pounds on the week, which I was pretty pleased with. Stay tuned! Just me or is host Alison Sweeney often oddly condescending to the contestants? Nutrition becomes a focus this week after not really being touched on in Week 1. Rachel Beller, nutritionist, stopped by for a lengthy visit with the cast and a visit to the supermarket. Bob's frustration with Dolvett for using workouts that he himself honed over the years gets to be pretty amusing.